I received some great questions after last week's article about unscrupulous real estate listing agents. Apparently, the article struck a chord among frustrated homeowners attempting to sell a home and who now want to know a little more about "how it works" in real estate. 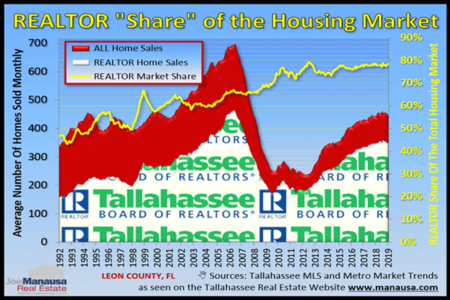 Of course, I strongly recommend that people learn more about what they should be doing and what they should know BEFORE they list their home for sale in Tallahassee, but the advice works too if you have already hit the market. 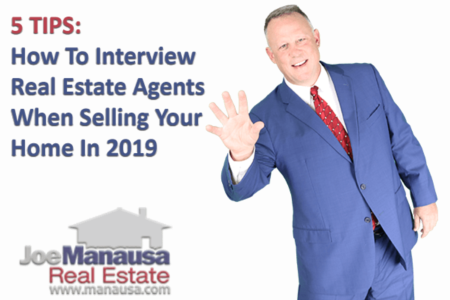 Today's article addresses four questions from readers about the motives of real estate agents that might not be so obvious when you first start the process of selling a home. Sometimes, it is not so obvious about what drives somebody to do something. In real estate, you have to remember that we are an industry with very little oversight and almost no barrier to entry. Additionally, the model that 99.99% of all real estate companies deploy is one in which each agent is his/her own boss, so that means that nearly every real estate agent is fundamentally a business within a business, answering to nobody but their need to earn a living. This model is great for some things, not so great for others. Think about it. In a period of less than two months with a budget of a few hundred dollars, somebody can quickly become licensed and legally be allowed to broker the sale of your home. If you are reading this and thinking "what's the big deal," then pay attention to the questions below, as they are being asked by frustrated homeowners who chose the wrong real estate agent for the job of selling their home. They too thought it was no big deal, but now they are working with a real estate agent that very likely will cost them tens of thousands of dollars (extra) during the sale of their home. Don't real estate agents have a law requiring them to be honest? - Yes. There is also a law that says we cannot speed on the Interstate, yet people do it all the time. A law with no enforcement agent is rarely effective. Why would a real estate company let an agent work there if they are making customers unhappy? - For the majority of real estate companies, the real estate agent IS the customer. They look at it this way ... somebody selling a home won't be a repeat customer for another fifteen years or so, but a real estate agent will do deals every year. So most real estate companies are willing to overlook poor behavior if the agent is productive (CLICK HERE to read article on Real Estate's Dirty Little Secret). How does an agent stay in business if she's not making any money, just getting listings that don't sell? - The average real estate agent in America will sell 6 homes this year. Based upon typical commissions, splits, expenses, fees, etc., that means the average real estate agent makes the same amount of money as the typical French Fry Cook at McDonalds. The majority of people in real estate do NOT make a living and I suspect are part of a two income family. Back in the 90s, many real estate agents would include "Million Dollar Producer" on their business cards, and I guess consumers were meant to believe this was impressive. But a Million Dollar Producer will, on average, take home about $12,000 in a year after expenses. Not so impressive. What harm is done if the seller is not in a hurry to move? - This is the one question that has variable answers. In many price ranges, home values are going up. So if you list a home at a price that is too high but you wait long enough, it will sell. It might take years, it might take months, the duration will be determined by the price. But an overpriced home is not going to sell. Buyers cannot be fooled. Why market a home at next year's price today? 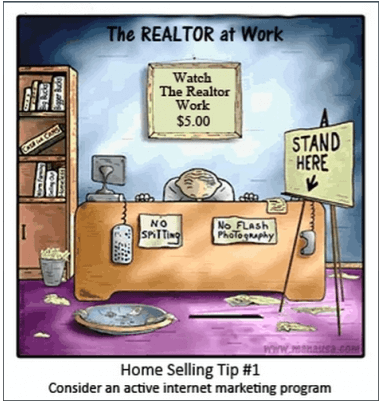 You will have visitors occasionally, but no buyers. You would be better served to keep your home away from the market until you are truly ready to move. If you make a mistake and hire the wrong listing agent, it doesn't have to be terminal. I wrote "Follow These Steps If Your Home Has Not Sold Within 30 Days Of Hitting The Market" as a guide for homeowners in this situation. It gives the steps you should take and if they fail, it advises that you fire your agent. Look at the following graph, it shows the shockingly high amount of time it takes most homeowners to fire their agent when their home is not sold. As you can see, 62% of home sellers take more than 60 days to fire their listing agent. While extended periods make sense for some rare, low-liquidity homes, the fact is that the homeowner would have gained a better price when the home first hit the market. Our experience and measurements show that immediacy brings the best bottom line to sellers, so hire a listing agent that shows you how they will sell your home fast and for top dollar, and fire the ones that do not deliver (there are some steps between hiring and firing, but they do not require 60 days in most cases!). We tell sellers in ample-liquidity markets they should sell a home in 4 to 14 days to attain top dollar and recover the most equity possible from their home. If you would like to avoid the anguish of dealing with an unscrupulous real estate agent when it comes time to sell your home, simply CONTACT US HERE and we will sit down and discuss your situation and needs so that you can sell your home when you want it sold at the highest price possible in the current housing market.